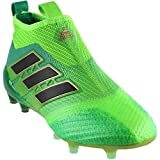 About Us - Best Cleat Reviews. 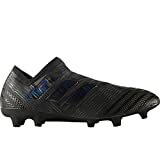 BestCleatReviews.com is a review website dedicated to providing reviews of the best soccer cleats. There are plenty of websites offering reviews on products at mid-market level. It only makes sense to do so because most consumers aren’t looking for “the best” cleats. Our site is for the athlete who gives his/her all day in and day out at the highest level. The people we make our reviews are for don’t dwell on failure as they know it’s necessary preparation for success. Pain is only temporary and glory is forever. We don’t want mediocre here. We only want the best and that’s what you’ll get here. We are a team of experienced former and current players. Respectively speaking, we have experienced professional for each type of cleat we review. That way you know you’re always getting first-hand knowledge from people who actually know. You can’t fake passion and that’s what you’ll get from our reviews. Personal opinions, insights and overall recommendations is just the icing on the cake. Sometimes when you read a review it’s almost as if you’re getting a rehashed generic review that doesn’t give you enough info to make a good purchasing decision. Well let that be a thing of the past. 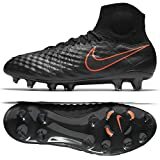 At BestCleatReviews.com, we only review the best cleats. Our reviewers only give the highest marks to cleats they’ve personally tried themselves. If a cleat you’re interested in is not on here then it’s either because we haven’t got to reviewing it yet or our specialist feel it’s not fit bare the title as a beat cleat.